Recently I conducted an initial consultation with a couple who were having serious marital problems. After a few amenities were shared, both partners wasted little time describing how their marriage and spouse were failing to meet their needs. I listened respectfully, while keeping tight control over the conversation to prevent it from escalating out of control. After about 20 minutes of complaints, I felt I had some understanding of what had promoted this couple to seek couple therapy. At that point, I moved the conversation into a different direction. Both appeared to reluctantly agree. I guessed their hesitancy was related to the second part of my statement, but I didn’t pursue this hunch. Instead, I continued undeterred. “Okay then, if this is correct, I have the solution.” At this point both perked up a little and seemed more engaged and interested. I then began to explain this statement by indicating that spouses who report high levels of marital satisfaction aren’t only focused on what their getting from their marriage and partner, they’re also equally focused on what they’re giving to their marriage and partner. I’m happy to report that by the end of this session, both decided to commit to six months of therapy. I’m equally pleased to report that as they were both able to shift away from a self-centered perspective that focused on what their weren’t getting from each other, to a perspective that’s characterized by a spirit of service, giving and compassion for their partner, marital satisfaction slowly began returning. We’re a society that places a great premium on self-fulfillment, self-determination, self-sufficiency and self-improvement. By the way, did you notice the emphasis on self? I believe that’s one reason why many unhappy spouses have bought into the notion that they deserve to be happy, and if they aren’t happy, they’re quick to blame their spouse and marriage for their unhappiness. In fact, a substantial amount of advice found in self-help books is based on these assertions. As pervasive as these attitudes are, I also believe they’re fatally flawed. Moreover, some of the newest research – and by extension, couple’s therapy – emerging from the human sciences suggests that no one can make us happy, and that we are in charge of our happiness. This work, which has an empirical foundation based on new findings from neuroscience also maintains that happiness essentially emerges when we give of ourselves to others, rather than when we focus on our needs and take from others. By the way, does any of this sound familiar? It should. That’s because Christian relationships are based on service, giving and compassion. So, as innovative as these findings might be, they’re not news to couples who live a Christ-centered lifestyle. Here are a few additional insights to reinforce this last statement. In St. Mark’s Gospel Jesus is quoted as offering the following counsel to his disciples who are in the midst of a heated argument. “You know that those who are supposed to rule over the Gentiles lord it over them, and their great men exercise authority over them. But it shall not be so among you; but whoever would be great among you must be your servant, and whoever would be first among you must be slave of all. For the Son of man also came not to be served but to serve, and to give his life as a ransom for many” (MK 10: 42-45). In effect, this counsel was alluding to two key attributes that characterize Christ-centered relationships. Based on Christ’s own example, the first is that a spirit of service, giving and selfsacrificial love would be part and parcel of Christians’ transactions and interactions with one another. The second would be that these attributes would distinguish Christian relationships from other types of relationships that are based on power politics, manipulation and selfish attitudes of entitlement. In my own work with hundreds of conflicted couples, I’ve noticed that when couples are able to make the shift away from blaming their partner and marriage for their unhappiness, to a spirit of service, giving and selfsacrificial love, marital satisfaction slowly returns. 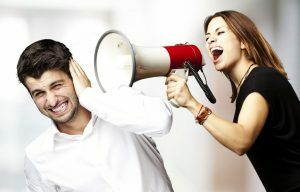 Conversely, couples who can’t make this shift remain disconnected and stuck in a painfully conflicted, destructive marriage – one that often slip-slides toward marital meltdown and divorce. 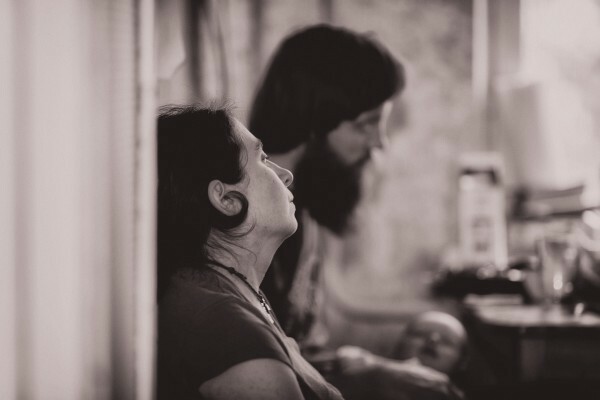 All of which means that if you’re not getting enough from your marriage, then you’re probably not serving your partner enough, you’re probably not giving enough, and you’re probably not relating to your partner in a selfsacrificial compassionate way. One way to remedy this deficit is to make a shift away from a self-centered perspective that compels us to focus on our own needs, to a Christ-centered attitude of giving, service and selfsacrificial compassion.